During the past decades, a suite of radiocarbon (14C), infrared optically stimulated luminescence (IR-OSL), and electron spin resonance (ESR) dates were compiled on a variety of materials from the Curonian and Vistula lagoons and spits of the southeastern Baltic Sea. These dated materials generally included lagoon sediments and mollusc shells, along with samples of fossil fish remains, peat, wood, and water bicarbonates. A growing number of 14C dates (conventional and AMS) demonstrates disparities and contradictions with the associated IR-OSL dates and palaeobotanical investigations of contemporary materials. Detailed analyses of 14C, IR-OSL and ESR chronologies and experimental 14C dating of modern live molluscs and water bicarbonates from the Curonian Lagoon and its main tributary – Nemunas-Neris River system – reveals a substantial influx of “old” carbonates into the lagoon. As a result, the uncertainty of reservoir effect added a considerable error to the 14C ages. Moreover, fossil molluscs of the same species extracted from boreholes and outcrops yield significantly younger ages (up to several millennia) than the enclosing sediments. Both of these trends – aging and rejuvenation – highlight an urgent need for constraining the local reservoir correction (ΔR). Several scenarios are presented to explain the impact of vital effects on radiocarbon chronology of carbonates and to offer strategies to account for them in future studies. This study was supported by the Research Council of Lithuania (grant No. LEK-10005), Klaipėda University (grant of the national project “Lithuanian Maritime Sectors’ Technologies and Environmental Research Development” No. VP1-3.1-ŠMM-08-K-01-019), and by the Ocean and Climate Change Institute (WHOI), USA. 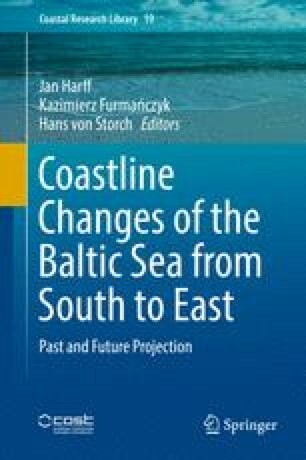 The authors cordially thank the Curonian Spit National Park administration for access to study sites, and Donatas Pupienis (Vilnius University) and Anton Symonovich (Lithuanian Geological Survey) for assistance in the field. The authors are grateful to Gösta Hoffmann for critical remarks that allowed greatly improve the manuscript.